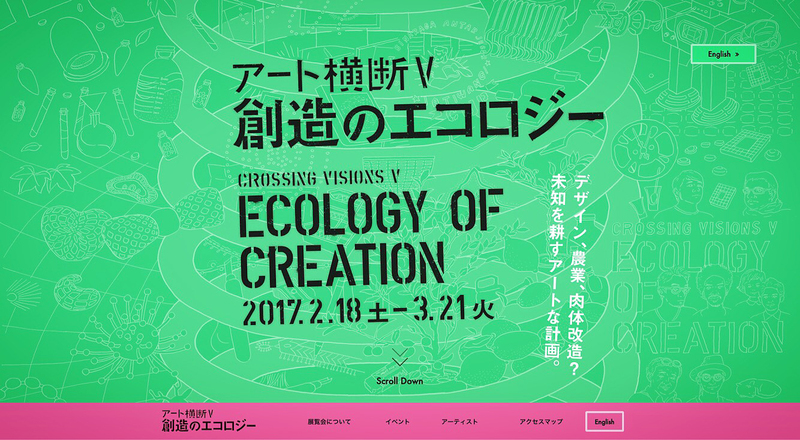 I designed a special website for “Ecology of Creation” which is Fukuoka Asian Art Museum’s new exhibition with a website production company C-limber. “Creative plans for cultivating unknowns” should attract us. That phrase is the exhibition’s copy in English and also means main contents in the art event. The show opens on 18 Feb., 2017. Admission free.